As the Cruise Director in charge, arrange fabulous excursions in Alaska, the Bahamas, on African Safari and more! Visit famous tourist sights and famous landmarks. Be on the first cruise ship ever to sail the North West Passage, transit the Panama Canal. Assist passengers with fun excursions on the cruise ship! 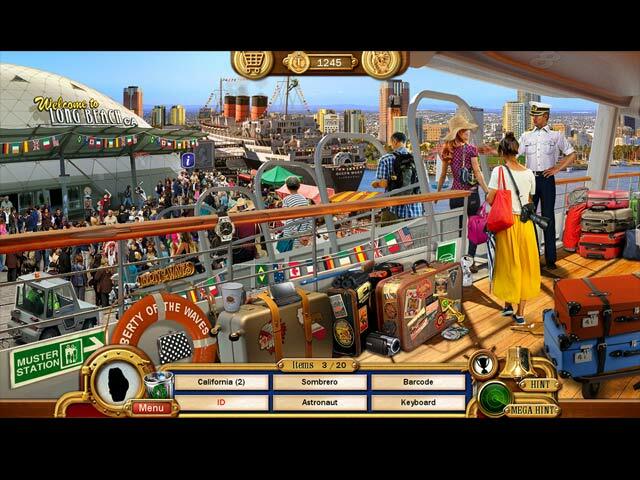 Collect souvenirs on the cruise and search for hundreds of hidden objects. Collect recyclables, assist passengers with finding their lost valuables and play superb mini-games. 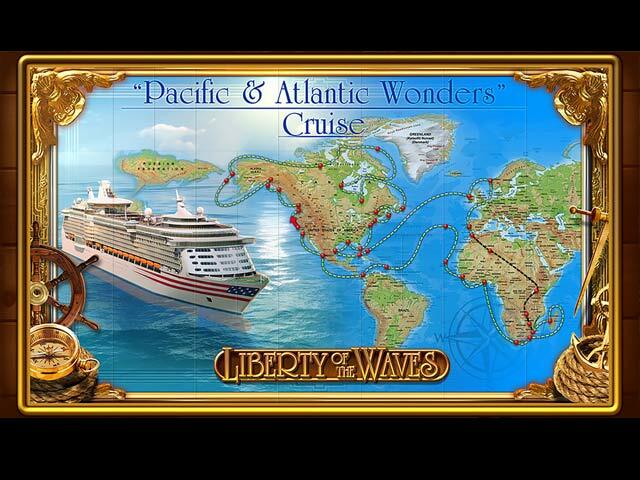 Enjoy a truly sensational Cruise of a Lifetime aboard the super luxurious, USS Liberty of the Waves! 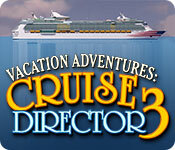 Vacation Adventures: Cruise Director 3 is rated 4.5 out of 5 by 38. Rated 5 out of 5 by BABZIE007 from vacation adventures: cruise director 3 Love all the vacation adventures, particularly the cruise director. Would love to see more of the games developed. Rated 5 out of 5 by 2020moonlanding from Relaxing Fun I have played most of the Vacation Adventure games and they have always delivered. There's a great attention to detail to give a bit of a challenge in finding things, but never enough to frustrate me. I love collecting the silhouette items and recyclables as an added bonus. It is a go to game for me when I need a little stress relief. Rated 5 out of 5 by lindamorris983 from Cant wait for the next in the series! Love all of the vacation adventures games, both the cruise director and the park ranger series. Excellent visuals and great fun. Rated 5 out of 5 by ljf4 from Fun, Educational & Challenging Not too hard and not too easy - just right! The mini games were interesting and varied. This was our first "Vacation Adventure" series games and we will be buying more. When we reached Long Beach Terminal we didn't want to disembark!! 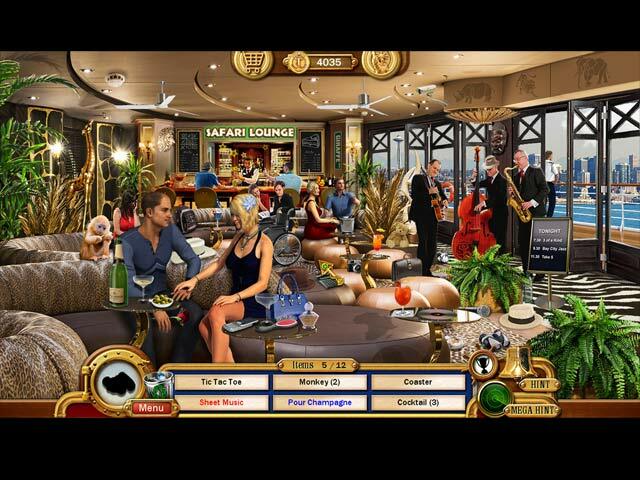 Rated 5 out of 5 by angelmema1954 from Love the game I have all the Cruise games and love playing them over and over,but Cruise director 3 got to play it one time and now I can't get it to work. I've tried everything.I bought the game and now I can't play it.The problem is on there end not my mine.The game is great and I love these Cruise games,I just bought the new Park ranger 6 I have all of them.I enjoy playing the hidden object games they help me relax and help me to concentrate and focus. Rated 5 out of 5 by dumplie from Love this game I love this game and the Park Ranger version too. The game is fun to play with just the right amount of challenge. I cannot wait for Cruise Director 4 - hope it is released soon !!!!!!!! Rated 5 out of 5 by denniann2 from great game as they all are i love these games!!! the items are small and you can't find them as quick and sometimes not at all. i still would recommend it just bear in mind i have bifocals and had to wear reading glasses to see some things, but some of that is my eyes. i have an appt. next week for them. can't wait until the next one. Rated 5 out of 5 by tremont71 from Just as good as one and two I love hidden object games and this series in my opinion is one of BigFish Games best. If you loved one and two you'll love this one. If you live HO games grab one and you'll be hooked.